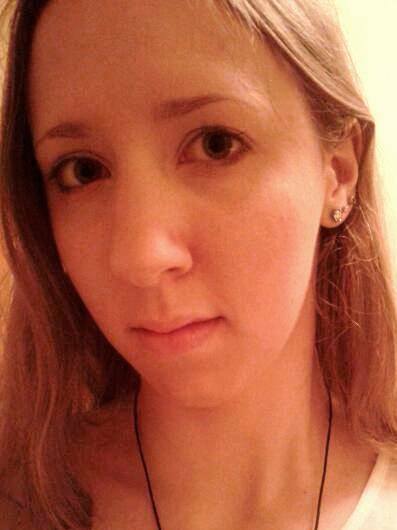 Last week I participated in GISHWHES 2013. This is the 'Greatest International Scavenger Hunt the World Has Ever Seen.' It's an event organised by Supernatural actor Misha Collins, for the charity Random Acts. Basically it's an international scavenger hunt formed of online teams who go out and complete the 150-odd tasks on the item list. Not when you look at the items. For example, one of the 2012 tasks was to get a photo of "a fully dressed storm trooper cleaning a pool next to a sunbather." Yeah, I know. So why would you join up to take part in a seemingly impossible hunt? I joined not only to donate (registration requires a donation of anything from $10 upwards), but also to have fun. And I did. I met some lovely people during the hunt, did things I never thought I would do, and most of all had a great time. I definitely plan to register again next year for another go! Have you ever participated in GISHWHES? Let me know in the comments below! The Cuckoo’s Calling is a great new crime novel—well-written and interesting with a fantastic storyline that hooks you straight away. 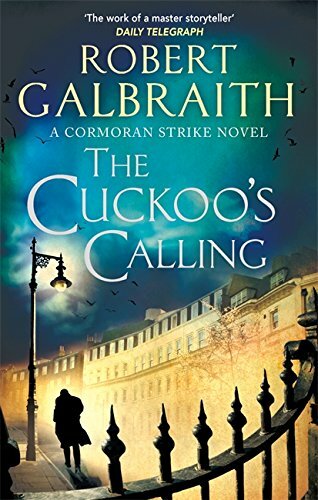 The story centres around private investigator Cormoran Strike, a one legged war veteran with a broken life. He is called in to investigate the apparent suicide of troubled supermodel Lula Landry (known by friends as ‘The Cuckoo’) along with his new assistant Robin. The deeper he delves, the closer he finds himself to danger in an unfamiliar world filled with multi-millionaire supermodels, rock-stars, and fashion designers. It’s a shame that this won’t be received as an unknown author’s debut novel. Instead it has been lapped up by avid J.K. Rowling fans, eager to gush about its brilliance to anyone who will listen. In all fairness, it is a good book, but I worry that the author’s high profile and celebrity status is overshadowing the book’s own merits. When the true identity of ‘Robert Galbraith’ was revealed, the book shot up to the number one spot on Amazon, and became the new ‘must-read’ book of the summer. Despite this, the book is well-constructed and written clearly. The plot of the mystery is simple yet still satisfyingly complex with an unexpected twist, however the clues are pieced together in a way that means the reader could theoretically have worked it out on their own. It sticks to the traditional mystery formula, which is refreshing after the current trend of Gillian Flynn style mystery writing. This is done with a numerous cast of characters and clues, and the depth of the characterisation is done very well, in a way that makes the characters seem multi-faceted and real. I particularly liked the relationship between John and Robin, but I felt Strike’s one-legged war veteran character was a bit too similar to John Watson! London is portrayed as a modern, gritty city, and at times as the books characters pace its streets it almost feels as though it is a character itself. At times it is a bit heavy on adjectives and the description, but this is a well-known part of Rowling’s writing style. The quality of the vivid descriptions was the part that really brought the story to life. For example, as the character Robin says - "if desperate pity could describe the exquisite pleasure she actually felt at the thought of her own comparative paradise." Perhaps in an effort to distance herself from Harry Potter, Rowling has used rather more bad language and drugs references than is really necessary. At least the plot is good enough to distract the reader’s attention though, and make the book still seem mostly polite. Already there are calls to make a series for Strike, but it seems unlikely that Rowling will want to continue since her alias was discovered. After all, the pseudonym of Galbraith was used as an escape from celebrity, and any future Strike books would be effectively published as Rowling books anyway, with all the hype that involves. The people who were able to read the book before the real author was revealed were lucky to have the chance to properly base it on its own merits, but I think it’s best to take the book as it is, an exciting new crime novel that didn’t quite meet its author’s intentions and instead developed a new importance for its readers. Have you read the book? What did you think? Let me know in the comments below!